Yesterday I shared with you how to make steamed snow crab legs. 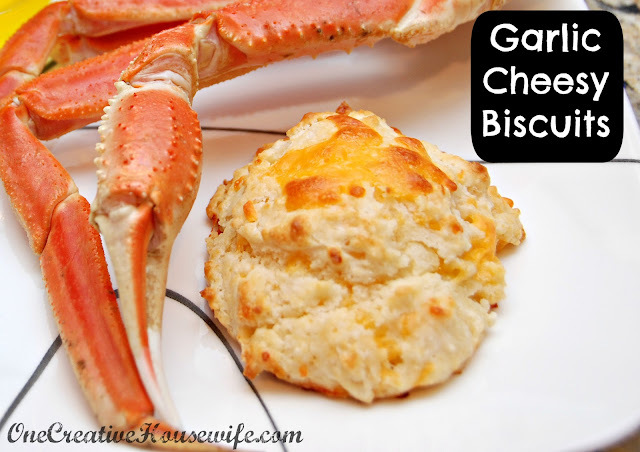 In this house crab legs always come with garlic cheesy biscuits. If you've ever been to Red Lobster, you know what I'm talking about. 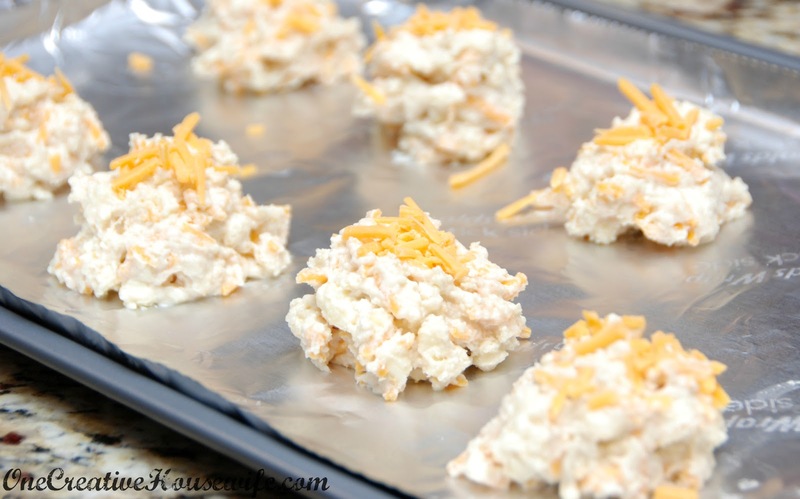 My husband loves them, and over the years we have tried a lot of copycat recipes. His favorite are these from Lauren's Latest. The great thing about this recipe is that not only are the biscuits delicious, but I always have the ingredients on hand. 1. Preheat oven to 400 degrees. Lightly grease a baking sheet, or line it with non-stick foil. 2. Combine all the dry ingredients, in a large mixing bowl. 4. Stir 1/2 cup grated cheese, and milk into flour mixture. Mix well. 5. Drop by large spoonfuls onto prepared baking sheet, making 8 biscuits. 6. Top each biscuit with a little shredded cheese. 7. Bake biscuits for 12-15 minutes. Tops and bottoms should be slightly browned. 8. Cool for 5 minutes on baking sheet. This might be the single thing that brings down my New Year's Resoltions. I LOVE Red Lobster Cheesy biscuits. And now I can make them at home? No fair! YUM! My husband and I LOVE those biscuits and I usually steal extras and hide them in my napkin :) Thanks! I think my mom and boyfriend will be mighty happy with this as a surprise one night when school and work haven't completely deflated me... LOL. Hi when you say ". Cut cold butter into the flour mixture until coarse. (I use a pastry blender.)" do you mean blend it in as if making pastry, or just cut the butter into small pieces and stir it together so the butter is still lumpy? Sorry for the dumb question.